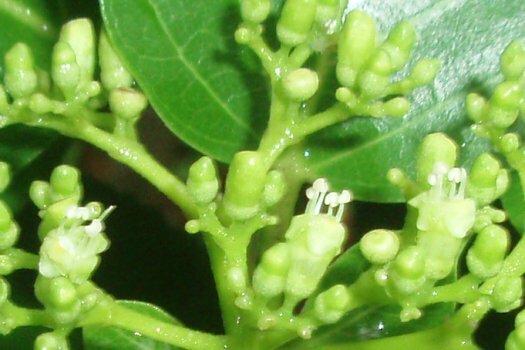 Alternate identifications: Premna obtusifolia (Tuhke en Pohnpei, 1992), Premna serratifolia (Sra in ain Kosrae 1993), P. gaudichaudii (Rehg and Sohl, 1979), Premna integrifolia (Christian, 1899). 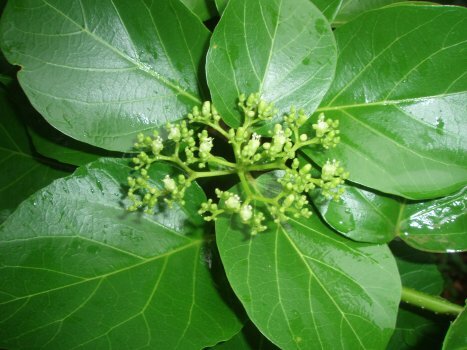 A small tree commonly found on the islands of Pohnpei. 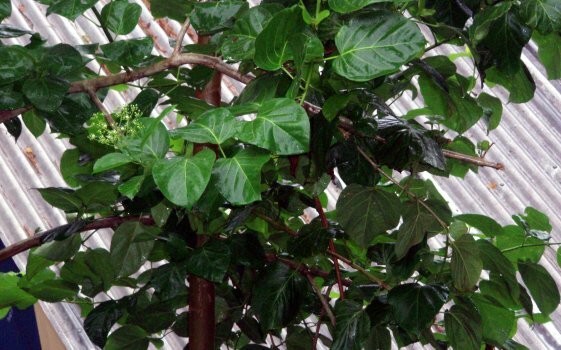 This plant is currently identified as Premna serratifolia by Tim Flynn of the National Tropical Botanic Garden on the herbarium sheets at the college. 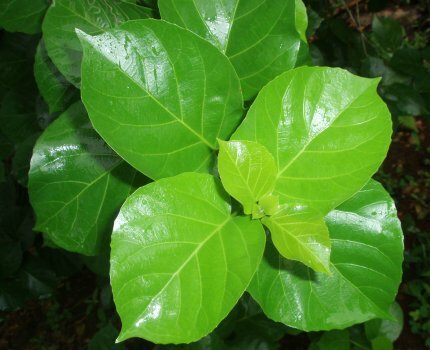 A plant on Pohnpei called oahr is also in the collection and is also labeled P. serratifolia. 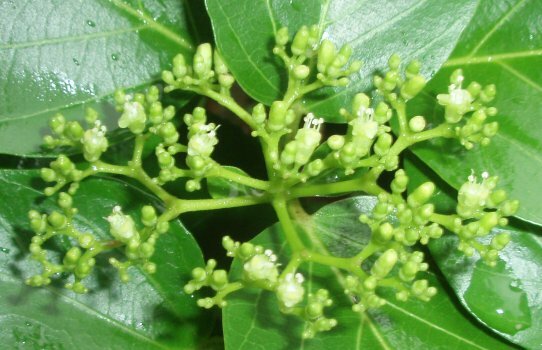 Oahr has a significantly smaller leaf distinctly different flower bracts. In the field oahr is easily distinguished from topwuk. 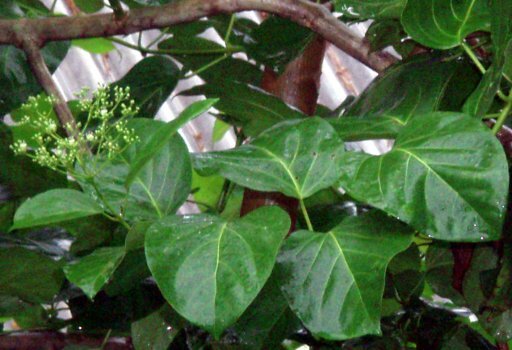 The former is considered by this untutored author to be P. serratifolia and the later to be P. obtusifolia, although the two epithets are considered synonymous as of early 2007. 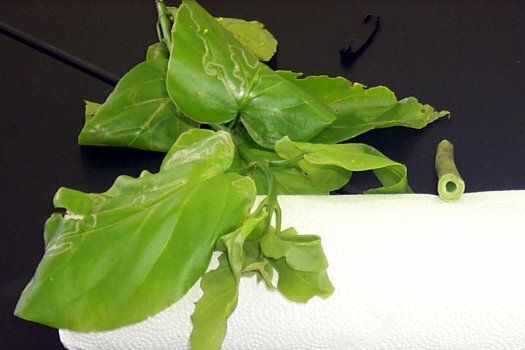 Oahr has distinctly smaller leaves that are more densely packed. Where topwuk has gangly, unkempt look, oahr is neat, compact, and orderly. This is not a soil difference - oahr and topwuk planted next to each other maintain their distinctness. Oahr located in the Pohnpei Traditional Plant garden. 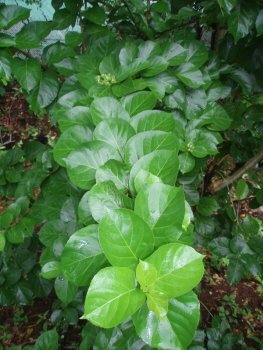 With thanks to the Pohnpei Traditional Plant garden at the College of Micronesia-FSM/Pohnpei campus, and Totoa Fetalai-Currie. 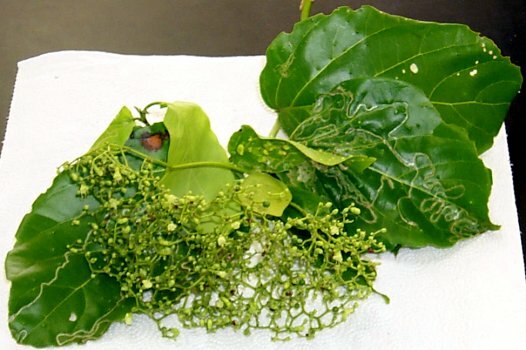 Leaves commonly used for steam bath/heat bath (Pohnpei: umwulap, Kosrae: srawuck). Can be consumed as a tea. Used to treat coughs. Juice of the berries can be squeezed into the nose to treat sinus headaches. The stem to the right is from a papaya. 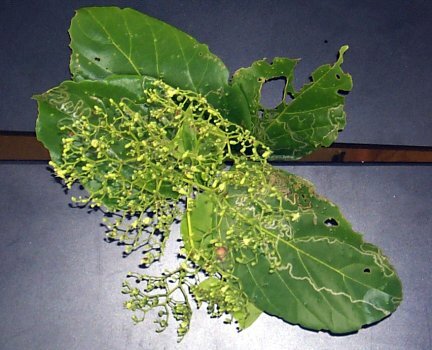 The leaves are young leaves used in a treatment in Chuuk where the leaves are chewed and then "spit" down the papaya tube around the eye of a person suffering from swollen eye.